When you’re coming to visit Big Spring or sticking around for awhile, you must find the extended stay option that both fits your comfort needs and your budget. Elite Cabins & RV Park provides comfortable cabins that are both more affordable and offers more amenities. If you are going to be staying anywhere for an extended period of time, you need to feel like you have a home away from home. Our cabins offer a full kitchen, dining room, and bathroom, and comfortable, spacious living space. A motel or hotel room can feel more like a small apartment than a home. However, with our cabins you can enjoy spacious living areas that will start to feel like a home away from home. Say goodbye to lugging our bags and other personal items from a distant parking lot or having to trek back and forth to your car. When you stay at our cabins, you can park right in front of your lodging. All of our cabins have two beds that comfortably sleep two, allowing four people to stay in a cabin and you to spend less with more space. 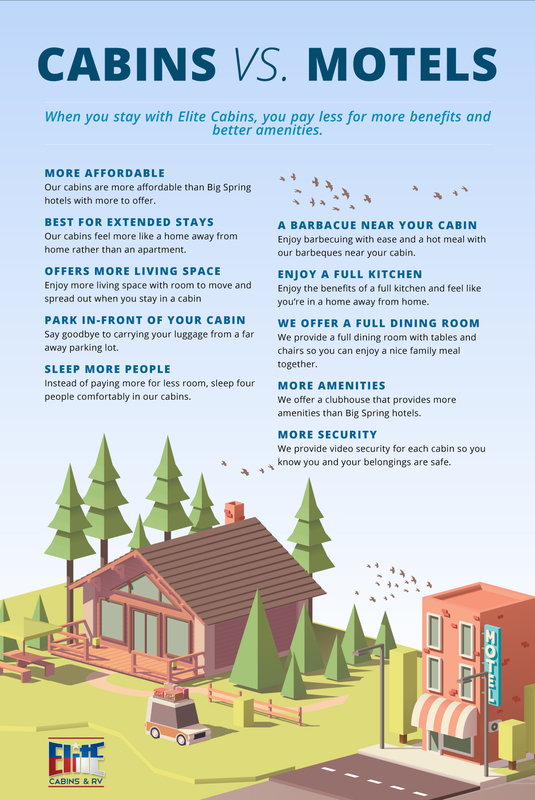 Love to barbeque but hate the hike to and from your living space to the barbeque area? 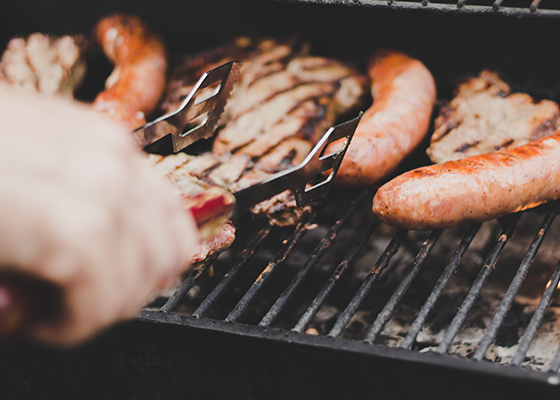 We offer barbeques right next to your cabin, making dinner easier than ever. When you stay in our cabins in Big Spring, you get a full-size kitchen equipped with all that you need to enjoy a home-cooked meal. Being able to fix your own food allows you to enjoy comforts of home and save some money. Love sitting down to a meal together in your own space? Instead of being scrunched around a small end table or eating without a table, when you stay in one of our cabins, enjoy a full dining area with a table and chairs. We offer a full fitness room with full-body training system, elliptical and treadmill, pool tables, a comfortable clubhouse, laundry facilities with full-size washers and dryers, onsite propane services, and more. Find out more about our Elite Clubhouse. Spend more time doing what you are here in Big Spring to do and less time worrying about the security of your personal items and living space. 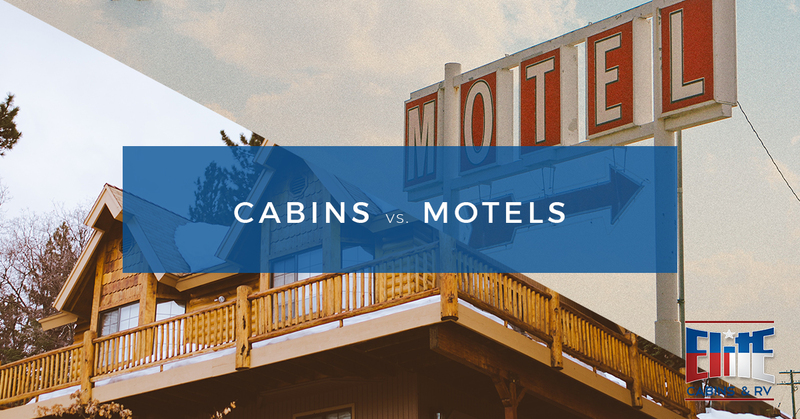 Top 15 amenities our cabins for rent offer that motels in Big Spring do as well.